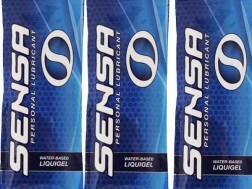 Get 3 FREE Travel Packs of SENSA® Water Based Liquigel Personal Lubricant. Pump it or Squeeze it! Are You Ready To Be Naughty? 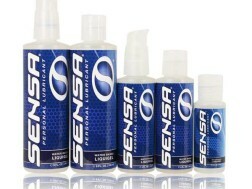 SENSA® and the SENSA logo are registered trademarks of Sensa, Inc and are protected under International and U.S. Federal trademark laws. Use without permission is prohibited. Website © copyright 2014, Sensa, Inc.